Before March 9, Lara and I had yet to receive an official university orientation…which I thought was very strange. At PUC in Rio, we had a huge orientation session with the staff that worked with the exchange students and all the foreigners studying Portuguese for the month. They gave us a rundown on Rio, Brazilian culture and the university. It took two weeks AFTER classes started for us to have an official orientation with UFC. At UFC, os intercambistas (exchange students) are assigned padrinhos/madrinhas who are in charge of helping the students find a place to live, get registered with the federal police, sign up for classes, etc. There really isn’t a good translation for padrinhos. Strictly speaking it means “godfather” but they’re more like mentors rather than substitute parents, especially since they’re our age. 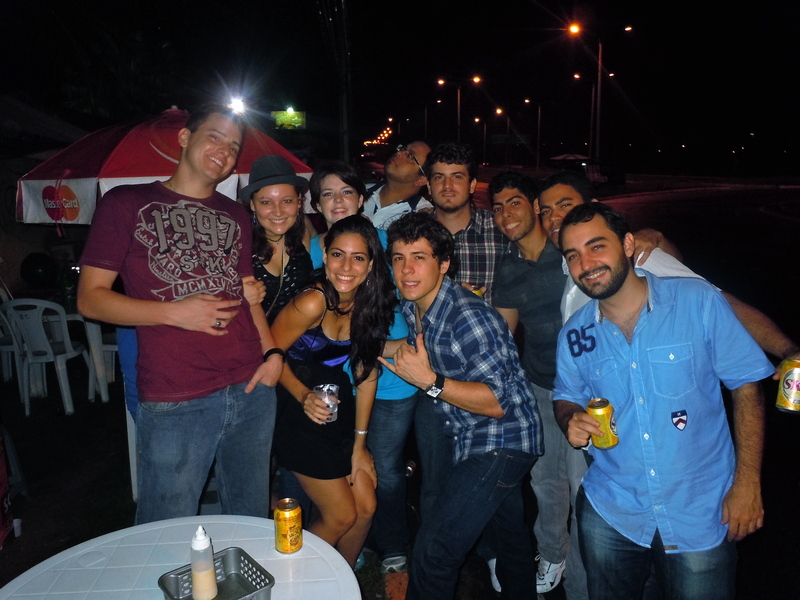 Anyways, the whole exchange student support system is called PAI: o projeto de apoio dos intercambistas. Since Lara and I had André to give us a mini tour of the city, help us find our apartment, and do all the little things we needed, we didn’t really ask for too much help from our mentors. This also meant we didn’t meet our padrinhos till March 9th. Lara’s madrinha Mirza added us to the PAI group on Facebook, where we learned about the orientation and welcome dinner for the intercambistas. The orientation meeting was almost pointless since we’d already been in school for two weeks, not to mention the fact that Lara and I had already been in Fortaleza for a whole month. Still it was cool to see how many other exchange students there were and where everyone was from. Overall, there are somewhere between 40 and 50 intercambistas. The largest groups of nationalities are French, German, and Spanish. There’s a small group from Mexico and a student or two here and there from Argentina, Portugal, Colombia, Bulgaria, Japan and Finland. There are only four Americans: Lara, myself, and two brothers from Miami. It’s odd being in the minority. At PUC, the exchange students were mostly American and mostly from California. The orientation meeting lasted forever, but two good things came out of it. First, we found out where the restaurant for the Friday night dinner was located. Secondly, this YouTube video: http://www.youtube.com/watch?v=29Yk63K6sVU about an Argentinian studying abroad in Canada. The dinner on Friday night was so much fun! It was supposed to start at 8pm, but of course we’re in Brazil so Lara and I didn’t get there till around 915ish or something like that. I finally met Felipe my padrinho and he decided to act all hurt and rejected since I didn’t ask for as much help as his other intercambistas did haha. We managed to squish a group of about 40 people in the corner of this restaurant. I felt kinda bad for our waiters…I have no idea how they managed to keep all the orders straight especially since we all had our own individual contas, or tabs. Lara and I shared a delicious margarita pizza with Laura, our Colombian friend, and a Japanese student. I met a couple Spaniards who study chemical engineering, and I really have no idea in what language I spoke to them. Probably some strange mix of Portuguese and Spanish. Most of the time Lara and I talked to Laura and this Brazilian guy named Holivan. Then later on we finally met Mirza, Lara’s madrinha. It was a good night and I’m glad we went. 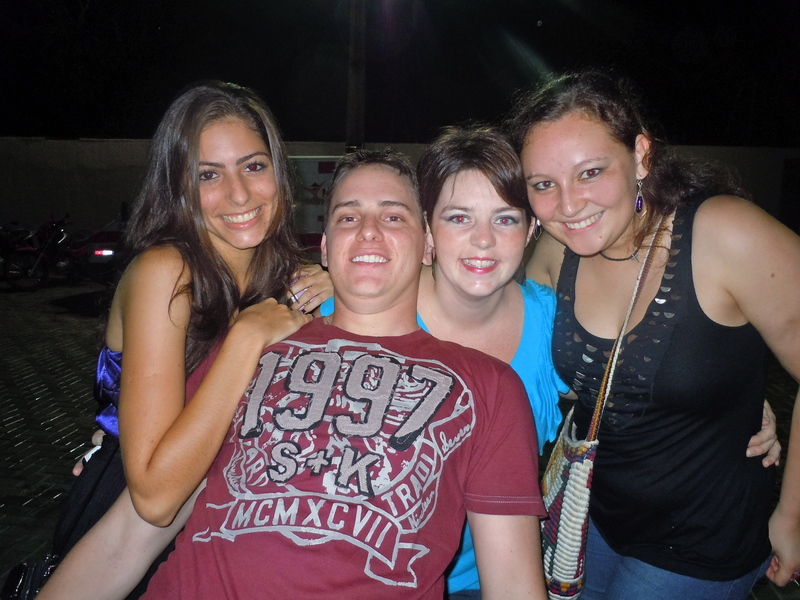 Mirza invited us to go out with her and some of her friend the next night to a forró place called Faroeste. 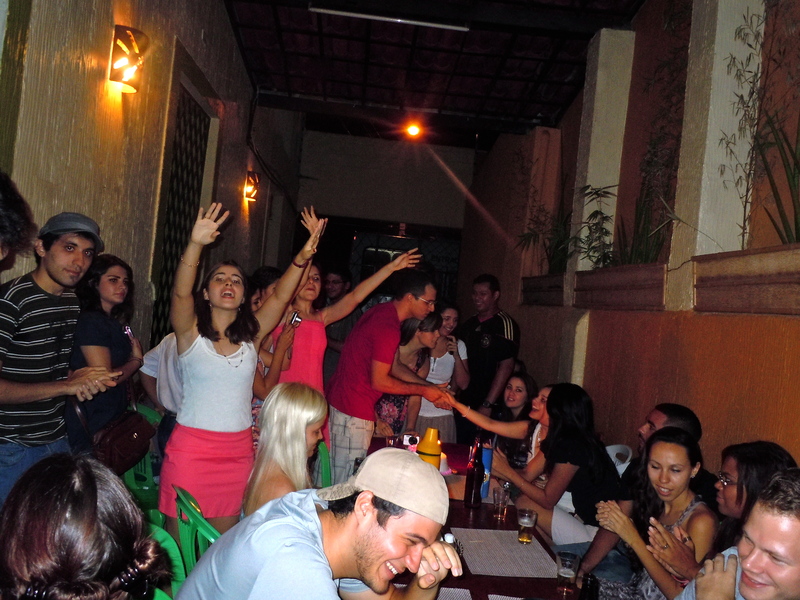 Forró is a type of music that’s comparable to country music, but not really. Since Lara and I had no idea how to get there and we didn’t want to ride a bus at some sketch hour to a place we’ve never been before, Mirza and her brother Aloysio picked us up at our apartment and took us to their apartment to wait for the rest of their friends to arrive so we could carpool in taxis to Faroeste. 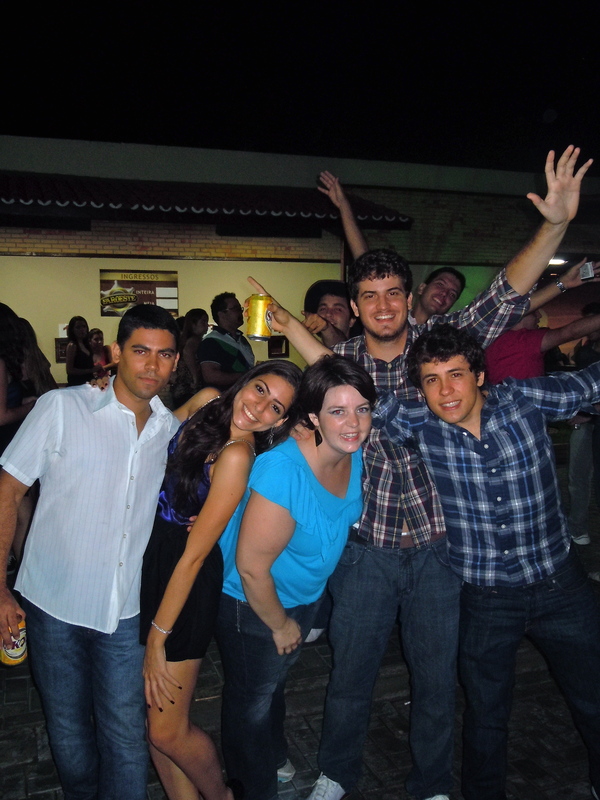 (Their parents live and work in Brasília.) It rained a little bit while we were waiting so once the taxis arrived we jumped straight in to hide from the rain. The ride to Faroeste was hysterical. Mirza’s friends are crazy. ­­­­­Emanuel and Kalil climbed into the taxi with Lara, Mirza, Aloysio and me. One of them didn’t have a shirt on (to keep it dry from the rain) and both had already done a little bit of partying. They provided all the entertainment on the drive to Faroeste; they would try to speak in English then would yell and switch back to Portuguese when they didn’t know the vocab. For a good portion of the trip, they repeatedly told us to watch out for their friend Rafael because he’s a “(insert profanity here) liar.” Mirza managed to record their tirade, which was even funnier since they were trying to yell in English. I never really got the story behind why Rafael is a liar, but I met him and he seemed pretty cool to me haha. We got to Faroeste around 12ish and continued to wait around some more for a couple more people. 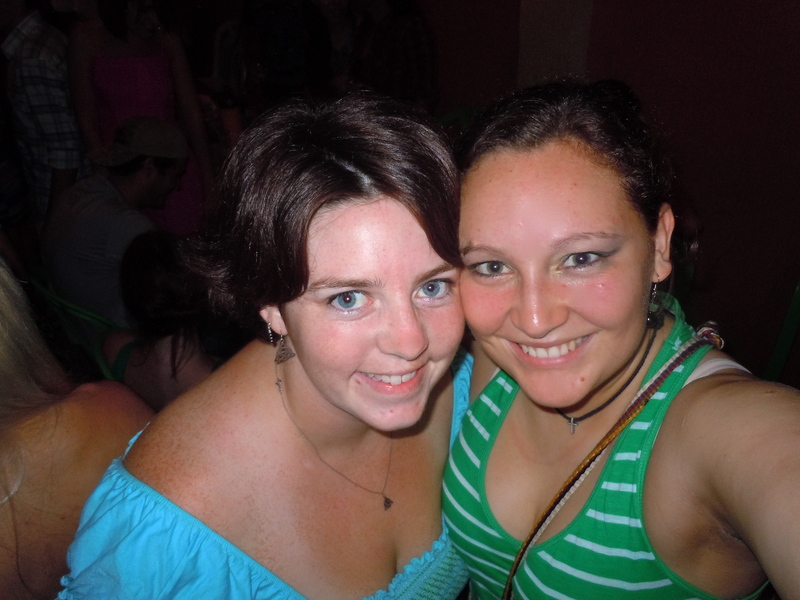 Once we got inside, we stood around talking and laughing, listening to the music, and just having a good time. 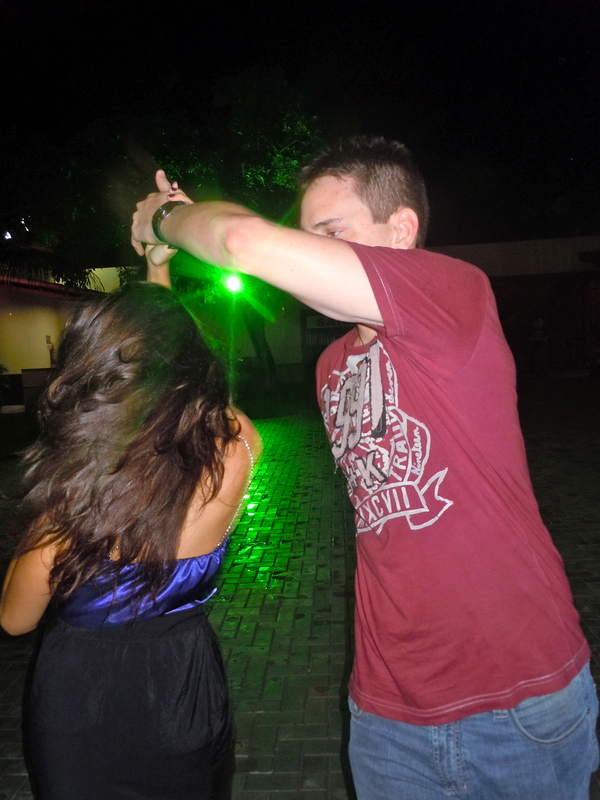 Rafael and Mirza demonstrated how to dance forró but I couldn’t stop my nervous laughing long enough to try dancing. Lara and I finally got home around 3ish and basically slept all day. Faroeste was a ton of fun, but a little too expensive to go to regularly. So we’ll probably save going again till the end of the semester as a celebration for successfully surviving a semester in Brazil. ~ by dfsg1991 on April 11, 2012.